This has a beautiful scent and baby pink fully double flowers. 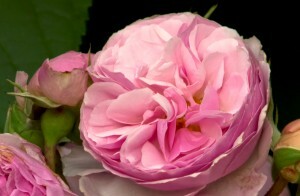 Not the tidiest grower but one that gives charm and softness to a border. Height about 1m. Very fragrant. An informal habit of growth and shape of flower makes this an attractive addition to the border. 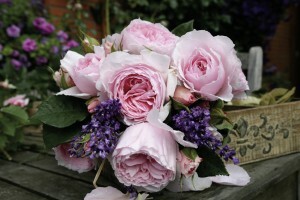 This truly romantic rose bears compact, cupped blooms in shades of pink and orange with a lovely fragrance. Leaves are glossy and dark green with excellent disease-resistance. Looks stunning planted in groups of three or five.